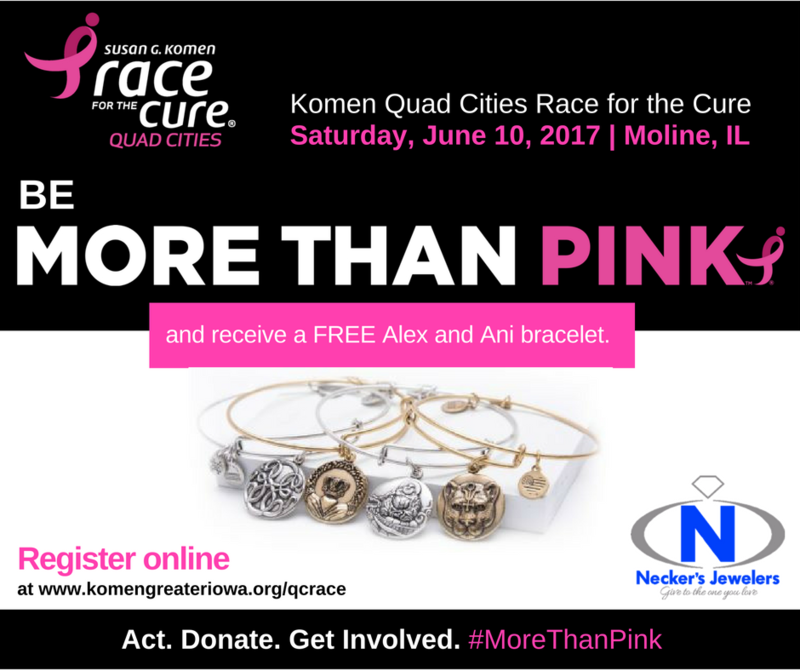 Registration is now open for the 2017 Komen Quad Cities Race for the Cure. Be more. Register online for ONLY $15 AND fundraise $50 by the end of February and you will receive a FREE Alex and Ani bracelet from Necker’s Jewelers ($28 value).